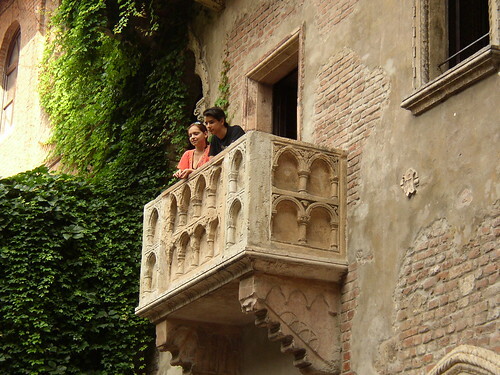 Sure Romeo and Juliet are fictitious and Shakespeare may or may not have ever been to Verona, but this particular balcony has become associated with the star-cross lovers. If you and your intended come from rival families you may want to skip this venue. Is it hokey and touristy? Of course it is! 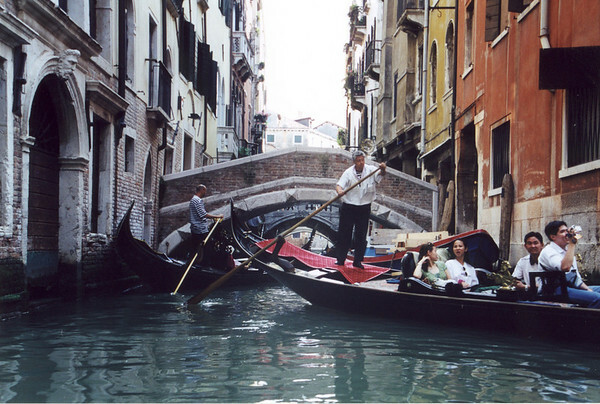 But take a gondola ride through the smaller back canals of venice in the waining light of dusk anyway. There is something very different about the Venice on the Grand Canal or the Venice of St Mark’s square than the quiet face she shows to those who wander the smaller canals. And if your gondolier can sing, so much the better. 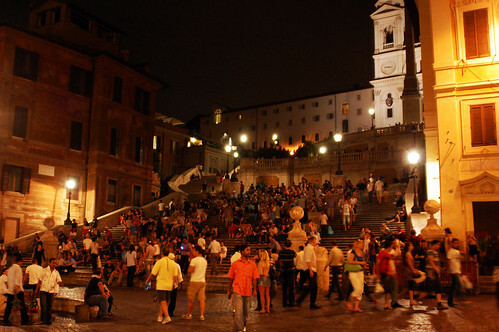 Plan your passeggiata to end up at the Spanish steps in the evening. Someone will have a guitar and will be singing. Claim a small spot and watch the crowds go by. What, you thought I was going to suggest the Vatican? This spot is one for the young or young at heart. 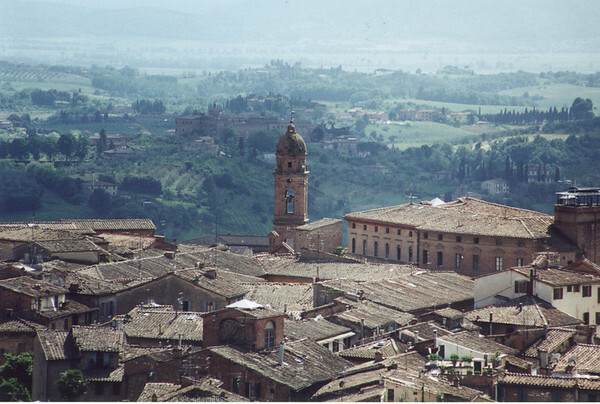 Climb the steps to the top of the tower on Siena’s main square, Piazza del Campo. With 505 steps the view is not the only thing breath taking. But as you and your sweetie take in some of the most beautiful views in Tuscany a kiss to celebrate your success will seem appropriate. Nothing quite kindles your love for life than a near death experience. 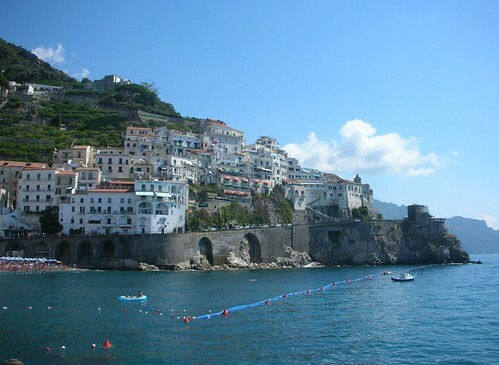 And nothing has the reputation for inducing a near death experience in Italy quite like the drive along the Amalfi Coast. When you and your loved one find that you have not gone off the narrow road in your tour bus, how can you keep from kissing? 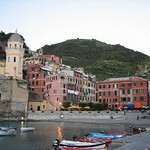 After the crowds go home, the evening belongs to lovers on the shores of the sea at Vernazza. Mad with hikers at noon but quiet and romantic in the evening as the heat of a Summer’s day relaxes into night. 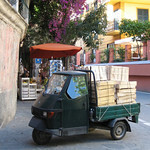 The Cinque Terre has had a tough year because of the mud slides, so you can also bet they would be glad to see you. Another sunset, another glass of wine, another toast to romantic Italy. Listen as the waves gently lap agains the shore and watch as the ferries ply their trade across this beautiful lake. 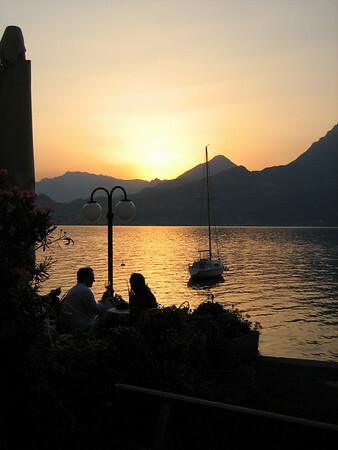 The Italians have been retreating to Lake Como for generations, and they know something about romance. 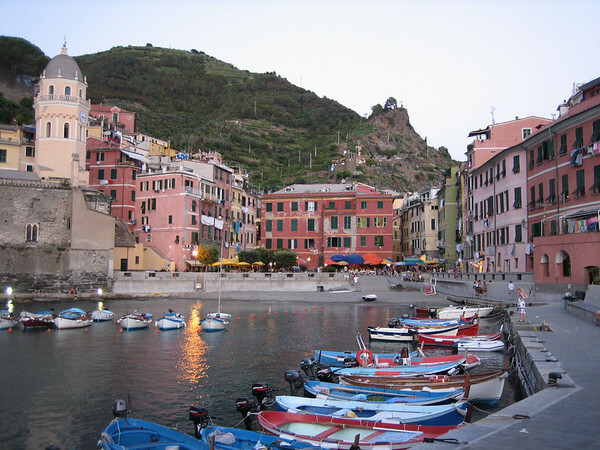 Sadly, Vernazza is no longer a great place to kiss, not since its evacuation following devastating flooding October 25, 2011. I urge rears to visit http://savevwrnazza.com and consider making a donation to the rebuilding of this Italian treasure.